Once again, I’m not sure where to begin. The time in Xela is really flying by, I can hardly believe I have been here for six weeks. Last weekend I took my first long trip via chicken bus out to Lake Atitlan. Aldous Huxley was famously quoted as saying that this lake was the most beautiful in the world, and I’m convinced that he was right. I felt like I had discovered the Garden of Eden. 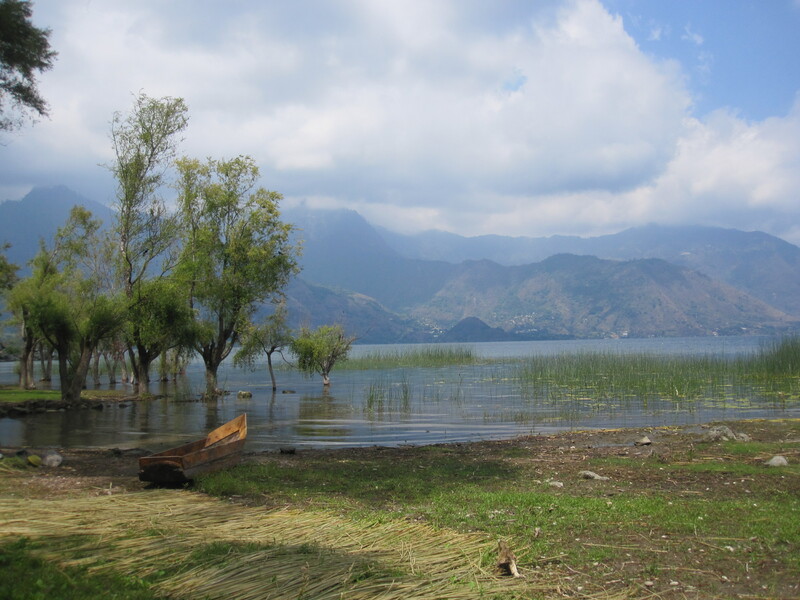 I had not realized how badly I needed to get out of Xela until I spent a weekend in San Pedro la Laguna. It was nice to escape the pollution and give my poor lungs a break. I also hadn’t realized how on edge I constantly am in Xela, until I strolled through the quiet streets of San Pedro without worrying that I was going to get robbed or harassed… it was nice to finally relax. The men here in Xela are some of the most annoying I’ve encountered in all of my travels, they are extremely persistent about bothering any woman that walks past. I’m convinced that it is short man’s syndrome, since most of them are a good 5 inches shorter than I am, and as a result maybe they feel like they have something to prove. 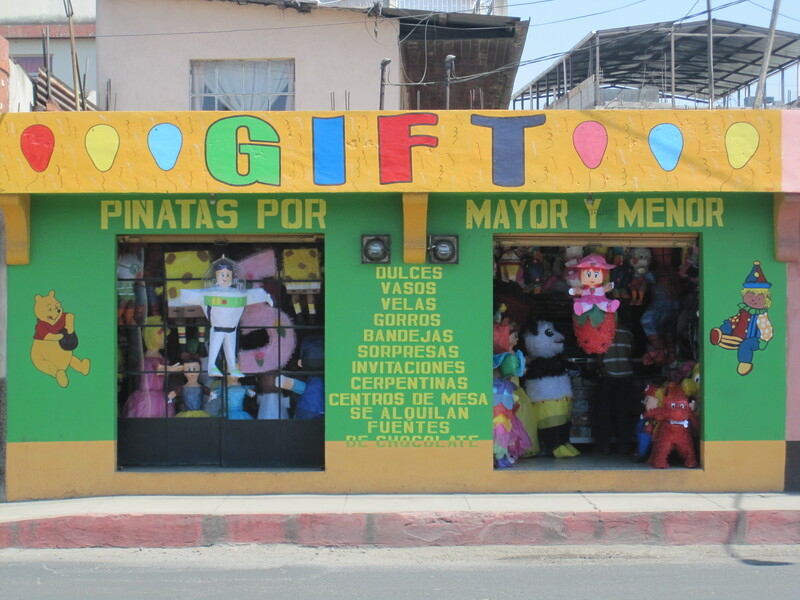 The photo above is one of the many piñata stores in Xela. I am always impressed with just how elaborate their piñatas are, and I wish that I had the occasion to buy one, or that I could bring one back home with me. The photo below is proof that I actually study Spanish. This week was my third week working with ‘Gato’, whose real name is Miguel. My first impression of him was at Carnaval when he was dressed as Cassandra, and after three weeks of working together, I think he is now my first real friend actually from Guatemala. 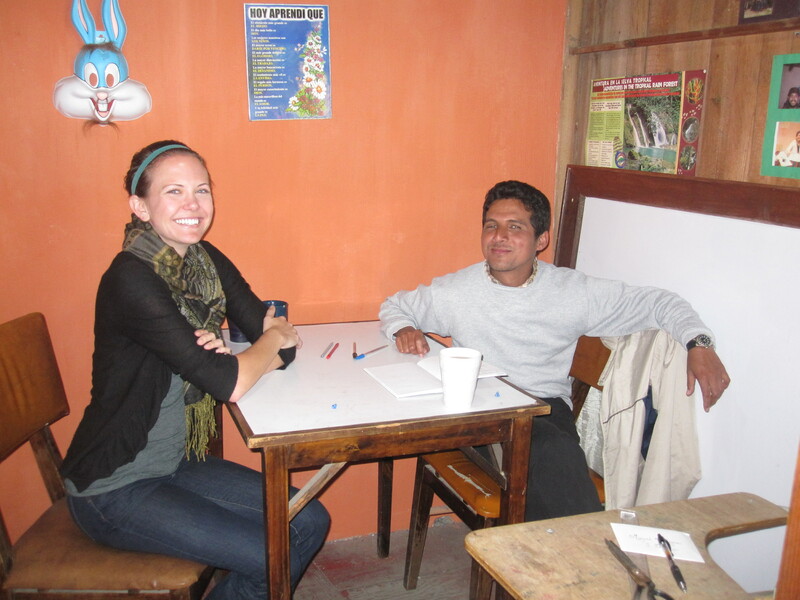 This blog entry was a bit half-assed, I am a little short on time, since I am still volunteering teaching English with the group El Nahual. That is where I am headed now, so, hasta luego! Glad you’ve finally made a Guatemalan friend! Keep the updates coming! Awesome to hear of your fantastic travels! And love the pictures! All I can do is exclaim!